Air TV lets you watch your TV programs received at your home while you are on the road. 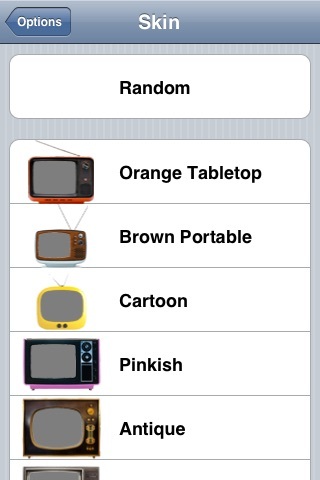 Air TV works by connecting your iPhone/iPod Touch using Wi-Fi networks with a host computer at your home. 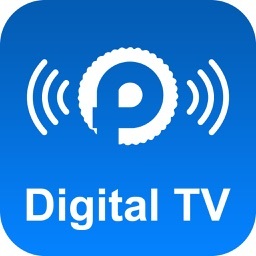 With a compatible TV tuner installed on your host computer, Air TV forwards the TV programs captured by your TV tuner to your iPhone/iPod Touch. 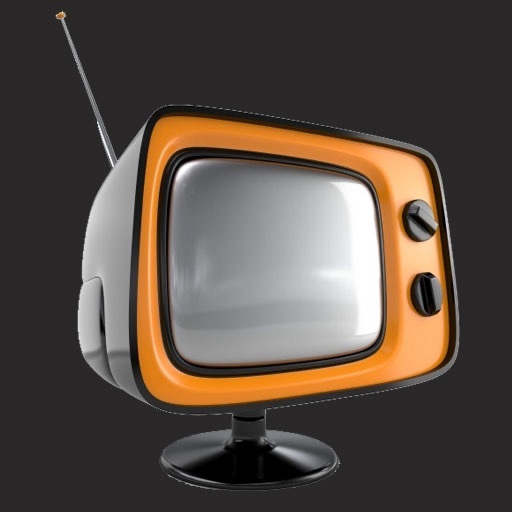 With Air TV, you get to watch your favorite programs in real time wherever you are. 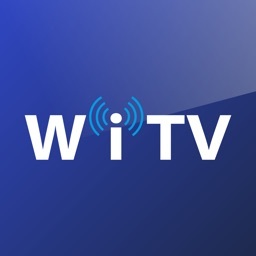 Air TV works with Wi-Fi network connectivity only. 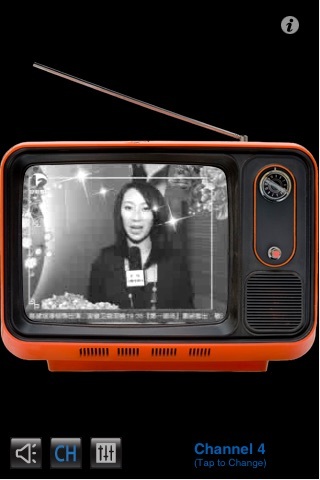 * Watch Live feed of your TV programs on iPhone/iPod in near real time with minimal delay. * Watch exactly what your tuner can receive from you home. You've paid for your cable programs, and now you get to watch them even way from home. * Switch between full-screen view and vintage TV set view. 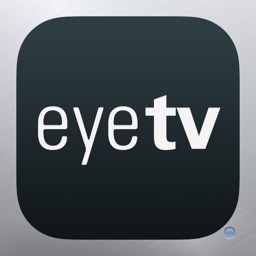 * Watch all channels viewable by your tuner. * Password protection to give you exclusive access of your tuner. * Air TV Mono is a FREE app. While we are trying to make Air TV enjoyable for all users, there are technical limitations that impose a number of system requirements. Please read them carefully. * iPhone or iPod Touch with V2.1. * Works with Wi-Fi network connectivity only (local or remote). * Air TV works over external Wi-Fi hotspot when you have set up port forwarding on your router. 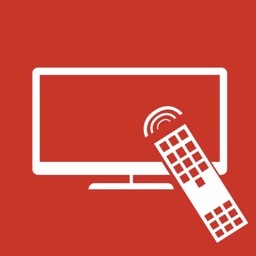 * A compatible TV tuner card (USB or internal) is required on the host computer. * Host computer must run Windows XP or Windows Vista. Mac OS X is not supported. * Host computer with a CPU of Core2Duo or above is recommended. * Currently, only analog broadcast (over-the-air or cable), ATSC digital broadcast (over-the-air or cable), DVB-T (over-the-air) digital broadcast are supported. Digital cable program may also be viewed via an external conversion box. 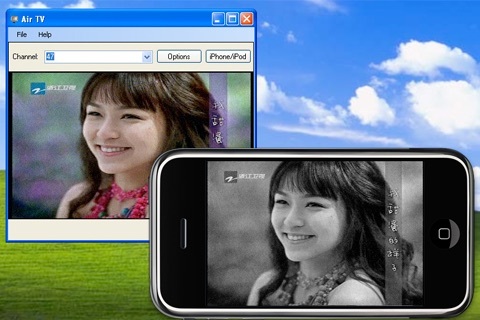 * Download and run the free Air TV Windows software from http://www.senstic.com/iphone/airtv/airtv.aspx to stream your video feed.